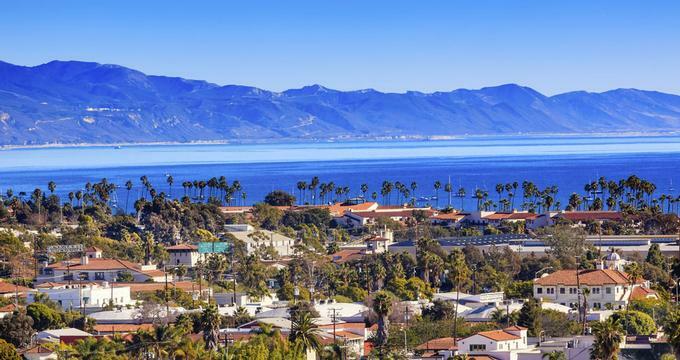 Santa Barbara is a beautiful coastal town and a popular weekend destination in Southern California, known for its excellent beaches, free attractions, family activities, beautiful wedding venues, restaurants and romantic Pacific Ocean views. If you are looking for romantic things to do in Santa Barbara, CA in the evening, visit the historic Lobero Theatre where you can watch ballet, chamber orchestra, jazz and other performances. Located on State Street in downtown Santa Barbara, the Santa Barbara Museum of Art was founded in 1941 and today houses a collection of over 27,000 works of American, Asian, and European art. Originally the Santa Barbara Post Office, the building was renovated and now contains 60,000 square feet for art exhibits as well as an auditorium, a library, a museum store, and a cafe. The museum focuses on education with its 40 programs and presents lectures, performances, and seminars, and is one of the top Santa Barbara attractions. The Ridley-Tree Education Center is also located in the 11,500 square foot McCormick House. Tours are available. Lotusland is a magnificent exotic garden located on the private property that used to be home to the well-known Polish opera singer and socialite Madame Ganna Walska. The 37-acre property features spectacular collections of exotic plants that Madam Walska collected and tended during her life. Her friends and admirers have also donated some of the collections. The whimsical tone of the garden reflects her taste for the dramatic and the unexpected. After Madam Walska died in 1984, Lotusland became a nonprofit public botanical garden, and its exceptional educational programs continue to benefit the local community. If you are looking for things to do in Santa Barbara for garden lovers, this is a must-see attractions. 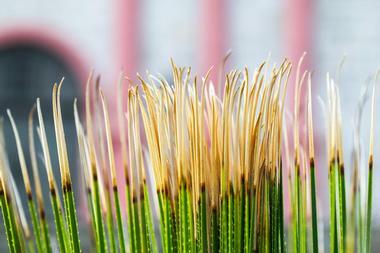 Its numerous innovative horticultural practices are admired and shared by botanic gardens all over the world. It is a magical, breathtakingly beautiful place to visit and to feel the spirit of one exceptional woman. The Santa Barbara Zoo provides open, naturalistic habitats to more than 500 animals from 146 species of reptiles, mammals, birds, and insects. The zoo is located on thirty acres of lush botanic gardens that feature many native plants, ornamentals, trees, cacti, succulents, and exotic species. 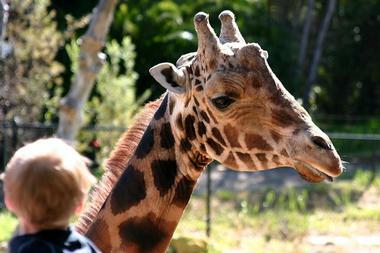 The zoo is considered one of the best small zoos in the country and is one of the best things to do in Santa Barbara with kids. Since its opening in 1963, the Santa Barbara Zoological Gardens has been fulfilling its mission of preserving, conserving, and enhancing the natural world through research, education, and recreation. The zoo organizes numerous special events and programs such as Zoo camp and monthly multidisciplinary hand-on activities for kids such as Be A Zookeeper for a Day. What young person would not love spending a day playing with baby meerkats? 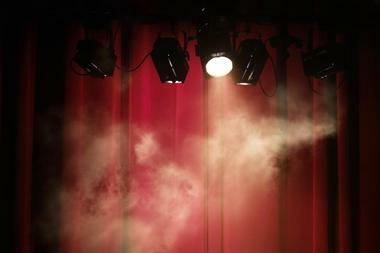 The Lobero is the oldest continuously performing theatre in California and one of the top Santa Barbara points of interest. Founded in 1873 and rebuilt in 1924, the Lobero building is one of Santa Barbara’s most treasured architectural jewels. Lobero has always been Santa Barbara’s favorite stage for both professional and community performances, and many of the big Santa Barbara performing arts groups call Lobero home: State Street Ballet, Santa Barbara Chamber Orchestra, and others. From its glory days to today, the Lobero has presented jazz in a variety of formats, hosting jazz greats such as Dave Brubeck, Dizzy Gillespie, Herbie Hancock, Wayne Shorter, and Dave Holland, among others. Some truly great names have graced the stage of the Lobero: Clark Gable, Ingrid Bergman, Igor Stravinsky, Betty Grable, and Tyrone Power, to mention just a few. The best reasons to visit the Shoreline Park are the magnificent views of the city, the Santa Barbara coastline, and the Santa Ynez Mountains. If you are lucky, you even might spot some passing whales and the attraction is completely free. This popular 14.6-acre park situated on a coastal bluff has something for everyone: playgrounds, picnic tables, barbeques, sidewalks, and cozy benches. If you are wondering what to do in Santa Barbara with kids, this is a great place to visit. To enter the park, visitors pass through the beautiful Torii gate and down the Shoreline Park staircase that leads to the bluff and the beach below. You can let your dog splash through the waves from the Shoreline Park Staircase to the eastern edge of the Arroyo Burro Estuary. The Santa Barbara Orchid Estate was established in 1957 on five acres of spectacular coastal Santa Barbara landscape, just a few steps from the ocean. It is now owned and managed by Paul Gripp and his two children, Parry and Alice, all of whom are world-known propagators and collectors of orchid species and hybrids. Their specialty is outdoor temperature-tolerant orchids. 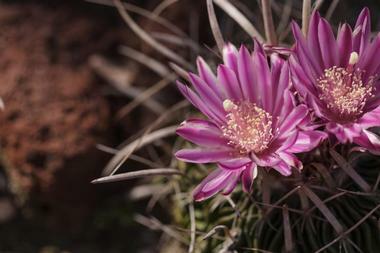 The Estate welcomes visitors, and once you see the profusion of colors, shapes, sizes, and forms of these flowers, it is easy to get hooked on their magnificent exotic blooms. There are hundreds of varieties of orchids for sale, directly or by mail, and the owners provide you with all the information you need on growing and nurturing your new blooms. The owners offer detailed advice on how to grow orchids and frequently organize lectures and exhibitions. Taking a tour of Santa Barbara County wineries with two certified and experienced sommeliers is an absolute treat for any wine lover. When Scott Bull and Bryan Hope, the owners of the Sustainable Vine Wine Tours, take you on a tour, they will personally drive you in one of their Mercedes-Benz luxury vehicles and take you on a trip through some exceptional local wineries, vineyards, and barrel rooms. They will also educate and entertain you. Tour groups are small – six to nine people – and the outings last almost the whole day – from 10am to about 5pm. The tours include not only wine tasting but an organic lunch in one of the vineyards. There are many occasions for which chartering a sailboat would be a great idea: birthdays, weddings, anniversaries of any kind, or just some very special party. With Captain Arthur and Chef Sherri you are sure to have an unforgettable time. This cruise includes not only a sea adventure but also some very fine foods prepared by Chef Sherri. It can be a two-hour Harbor/Coastal cruise, a half-day charter with a multi course gourmet meal with wines, a full day trip with a multi course meal, fine snacks, and wines, or you can go on an overnight Channel Islands trip that lasts two days and one night, with multi course dinners, meals, and wines or other beverages of your choice. Green Flash is a Catana 471, and it is famous for its speed and comfort. The ship is luxuriously appointed and tastefully decorated. The charters can take a maximum of six people (Phone: 805 689-4057). Completed in 1872, Stearns Wharf is the oldest wooden wharf in continuous use in California. In the past, it was used for passenger and freight services for about 25 years, and it is named after its builder, John P. Stearns. The wharf is located at the end of State Street and is one of the most visited places in Santa Barbara. Today, there are 17 businesses on Stearns Wharf including shops and restaurants, a shellfish market, and two educational facilities: the Channel Islands Exhibit Hall and the Santa Barbara Museum of Natural History Sea Center, which is an interactive facility for ocean education. Visitors also have the option of taking cruises and water taxis from the wharf. 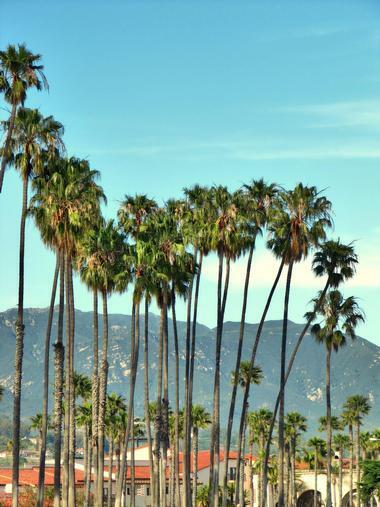 More ideas: 25 Best Weekend Getaways from Los Angeles. Santa Barbara Tasting Tours offers food walking tours along State Street in downtown Santa Barbara. The three and a half hour lunchtime tour includes food tastings at six different restaurants and shops in the downtown area. In addition to the food tastings, tour guides point out interesting historical sights such as the Arlington and Granada Theaters, Santa Barbara Presidio, and the city courthouse. Some of the tours stop at popular places like El Paseo, La Arcada, and the Santa Barbara Public Market. The tastings include restaurants as well as delis, cheese shops, wineries, chocolate shops, and other places for desserts. Private tours are also available (805-295-8687). Located on Harbor Way on Santa Barbara’s harbor, the Santa Barbara Maritime Museum is devoted to preserving the maritime history of its local coast. The museum uses its man artifacts, exhibits, and events to achieve this goal. Exhibits include interesting features like cannons, paintings, interactive maps, seaplanes, and much more. 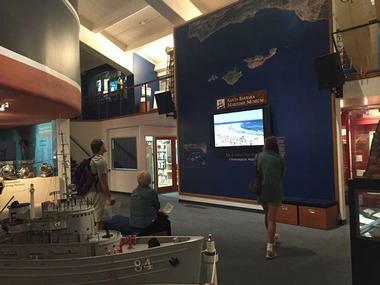 The museum also offers educational opportunities for children and adults, allowing them to learn about local maritime history. For example, its “Tall Ship Education Program” has hands-on activities to teach children about things like problem solving and teamwork. The museum can be rented for special occasions like weddings and parties. Tours led by experienced docents are available and generally last about 45 minutes. The Arroyo Burro Beach Park is a Santa Barbara county park located on Cliff Drive just south of Elings Park. It is called Hendry’s Beach by locals, and it is a popular place for picnics and ocean activities, which include swimming, surfing, and fishing. There are other fun things to do here such as bird watching or horseback riding on the park’s numerous trails. The park has a long history that dates back to 1947 when the first six acres were bought to start a park. Today it features a large parking lot, picnic tables and BBQ grills, and is one of the top Santa Barbara attractions. 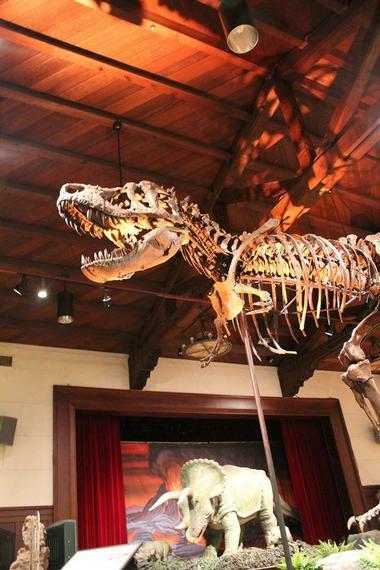 Located on Puesta Del Sol in Mission Canyon behind the Santa Barbara Mission, the Santa Barbara Museum of Natural History is dedicated to teaching visitors about local natural history through its exhibits. Founded in 1916, it is the oldest museum in the city and sits on 12 acres along picturesque Mission Creek. The exhibits are housed in a group of mission-style buildings situated in an oak woodland landscape. Some of the exhibits include an impressive 74-foot whale skeleton and other displays of marine life, fossils, birds and mammals. If you are wondering what to do in Santa Barbara on a rainy day, visit this unique museum. Visitors can look through the books in the Museum Library or go for a walk on the museum’s Nature Trail along Mission Creek. 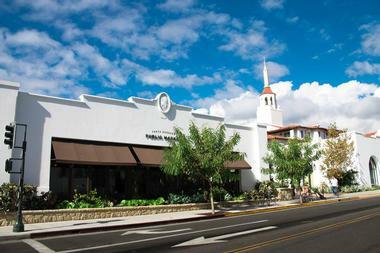 The Lark, surrounded by local surf shops and galleries, is located in the historic Santa Barbara Fish Market building. You can sit inside or enjoy the breeze on the outside porch. The ambience is romantic with flickering candles and old lamps, and the large communal tables are homey and welcoming – you can share one of them with 23 friends or make new friends with some of the other guests. The cheery atmosphere is just the beginning. Executive Chef Jason Paluska uses locally sourced fresh seasonal ingredients to create dishes that are made with the best of what the Central Coast has to offer with just the right touch of exotic flavors from faraway places. Try Crispy Smoked Pork Belly with roasted blackberry, almond brittle, pickled jimmy nardello chile, and chicharron, and you will be hooked for life. 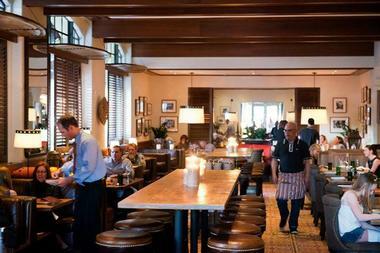 There is a full bar that emphasizes its selections from small Santa Barbara wine makers. Founded in 1983, the Santa Barbara Certified Farmers Market is located on Anacapa Street in the Lower State area of Santa Barbara not far from Stearns Wharf. With 130 members, the market is a non-profit organization that provides local farmers with a place to sell their agricultural products directly to the public. Just a few of the specialty products that can be bought at the market include berries, jojoba oil, olives, olive oil, and pistachios. In addition to the downtown location, which is open on Tuesday and Saturday, the market operates at several other nearby locations including Goleta on Sunday and Thursday, Carpinteria on Thursday, Montecito on Friday, and Solvang on Wednesday. 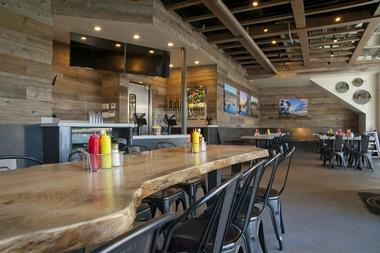 Finch & Fork is a hip and fun American Bar and Grill located in downtown Santa Barbara. Dark wood paneling and a profusion of colorful bottles on display create a bright and inviting atmosphere. 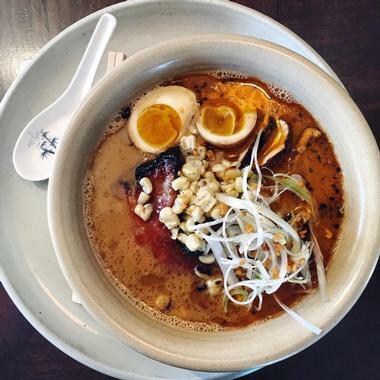 Chef James Siao uses fresh local ingredients from local fishers, farmers, and ranchers to perfect modern California dishes with his own twist and flare. He turns comfort food like deviled eggs into something really special with additions of smoked trout, pickled shallot, and olive relish. The menu changes often, and there is a nice selection of local wines and some truly imaginative cocktails: try the Blackberry Cooler with Wild turkey rye. Located on Mission Canyon Road, the Santa Barbara Botanic Garden is located on 78 acres of land where visitors can see more than 1,000 rare and indigenous plant species, including a magnificent Redwood Forest. 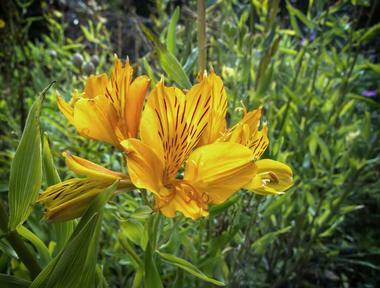 Founded in 1926, the garden displays native California plants typically found along hiking trails. Flowing through the garden is Mission Creek, and here visitors can see a rock dam built by Native Americans in 1806. The garden contains several other facilities such as the Blaksley Library, the Santa Barbara Botanic Garden Herbarium, and the Garden Shop & Garden Growers Retail Nursery. 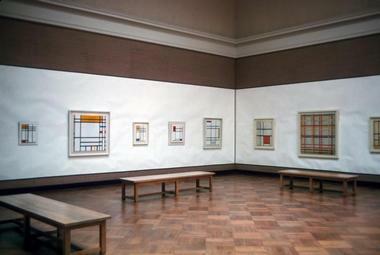 Visitors can take self-guided tours or join a docent-led tour for groups or for individuals. 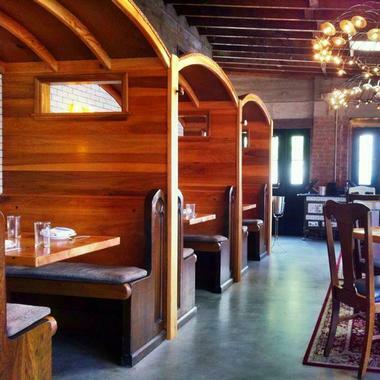 Outpost Restaurant is located in the boutique Goodland, a Kimpton Hotel in Goleta. Indoor and outdoor spaces are laid back and informal - you are free to come in your flip-flops and tank top. Executive Chef Derek Simcik has a unique take on the coastal Central California cuisine and uses fresh seafood and seasonal, sustainable produce from local farms and producers. Try his Pork Belly with apple kimchi, maple yogurt, and arugula and realize that his many travels have allowed exotic and surprising elements to find their way into his wonderful dishes. There are some good local wines to go with the food, but Outpost is particularly proud of its region's best-curated library of artisanal agave spirits. The Santa Barbara Public Market in downtown Santa Barbara offers visitors the opportunity to browse and shop for handcrafted items and locally grown products. Local chefs teach well-attended cooking classes at “The Kitchen,” and the classes include wine and dinner. “The Kitchen” is also used for public and private events, and the private dining area includes video equipment for presentations. Some of the numerous retailers include Empty Bowl Gourmet Noodle Bar, I’a Fish Market & Cafe, il Fustino Oils and Vinegars, and many more. Events such as the “Photo Tour of the Public Market” and “The Art of Food” also take place at the market, which is open every day. Toma is a romantic Santa Barbara Italian restaurant located in a historic building on the waterfront, meticulously preserved and covered with beautiful flowering vines. With its excellent view of the harbor and warm, sunny, and clean interior, it is highly popular both for lunch and dinner. Executive Chef Nat Ely has an imaginative take on his cuisine, and he supports local fisherman, foragers, farmers, and food artisans by using the freshest ingredients for his classic Italian dishes. Try his Cioppino with Fresh Fish, Crab, Prawns, Scallop, Calamari, Mussels, and Clams in Saffron Tomato Broth. There is a great selection of Italian wines, many of which are hidden gems, and some select local choices as well. 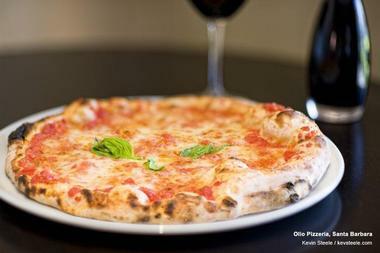 Olio Pizzeria® is a casual pizza and wine bar in Santa Barbara, drawing inspiration from hip enoteche and pizzerie joints throughout Italy's regional neighborhoods. The restaurant is located next door to fine Italian dining restaurant Olio e Limone Ristorante and was a 2018 recipient of the Diner's Choice Award by OpenTable. Trendy Neapolitan-style pizzas are served at brunch, lunch, and dinner, along with a wide variety of antipasti dishes, charcuterie boards, and traditional Italian pastas. The restaurant also offers an extensive Italian wine list, a full selection of imported artisanal beers, and a lineup of delectable signature Italian cocktails. Private dining is available for groups of up to 32. 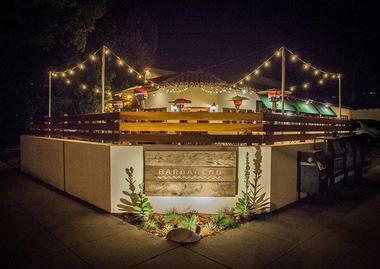 Barbareño is a casual Santa Barbara restaurant located two blocks from State Street. It has a spacious and understated dining room, an open kitchen, small bar, and an outdoor terrace with an oak-burning grill. The food is the product of a modern take on traditional California cuisine with dishes typical of the local area. Two very young chefs, Head Chef Julian Martinez and Chef de Cuisine Owen Hanavan, play around with sublimely fresh ingredients, most of which are locally sourced, and come up with some absolutely delicious creations. Try the Ranch Agnolotti with caramelized carrot puree, roasted celery root, and buttermilk. The bar stocks unique Central California wines and some craft beers from small California breweries. 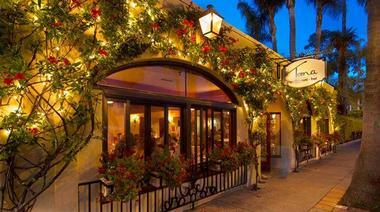 Olio e Limone is Santa Barbara’s staple, feeding hungry clients since 1999. Located in downtown Santa Barbara’s historic arts district, Olio e Limone consists of three distinct but connected parts: Olio Pizzeria, Olio Crudo Bar, and the full-scale restaurant Olio e Limone. 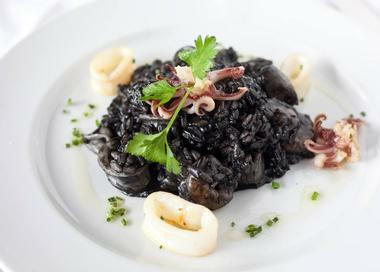 All offer authentic Sicilian fare and carefully selected wine under the watchful eye of Chef Alberto Morello. His inspiration comes from all over Italy but especially from Sicily. The dining room is pleasant and inviting, with soft sage and ivory colors and a high ceiling. A large wine cellar with 230 bottles can be seen and admired through a glass wall. 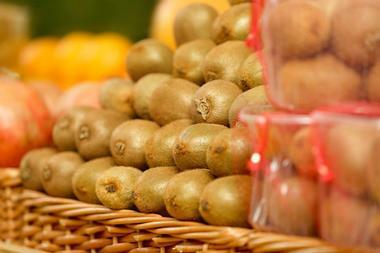 The menu changes often and relies on local seasonal ingredients. You can find the classics like ravioli with roasted eggplant and goat cheese, rack of veal, veal scaloppine with lemon and artichokes, roasted quail, and of course great pizzas. There is a small private room for special occasions. How is this for a recipe: handcrafted burgers, farm fresh salads, thin-cut fries, and locally brewed beers! This is what Mesa Burger is all about. Except that the burgers are gourmet hamburgers crafted by the celebrated chef Cat Cora of Iron Chef fame. The shop on a mesa in Santa Barbara quickly became a local favorite for a quick but delicious and wholesome meal. The place is super modern, with gleaming chrome and recycled wood along with lovely colorful photos of nature on the walls. It is easy to feel instantly comfortable and bring the kids for a meal. The burgers come with some nice twists such as ginger teriyaki and grilled pineapple salsa or with a sunny side up egg and applewood bacon. You can wash it down with local wine, craft beer, and cider. Construction of the Casa del Herrero, designed by architect George Washington Smith for the industrialist George Fox Steedman and his wife, was completed in 1925. Casa del Herrero, or The House of Blacksmith, is considered one of the best examples of Spanish Colonial Revival architecture in the United States and is an awesome place to visit. It is included on the National Register of Historic Places, and was also designated as a National Historic Landmark. Today, the non-profit Casa del Herrero operates the 11-acre site as a historic house museum and garden. Visiting the house, workshop, and gardens offers a rare glimpse into the life of a notable Santa Barbara family and the times in which they lived. On display are the family’s collection of antiques, books, drawings, and horticultural records. Casa del Herrero is undergoing renovations, so be sure to check their web site for updates. Top overnight trips in California: Getaways from San Diego, Trips from SF and Vacations from LA.